Grapefruit Crème Brulee - Let the Baking Begin! I have been using this recipe for what seems to be forever, and even though this is a pretty classic proportions for crème brulee, originally I found this recipe on FoodNetworks website, where Alton Brown had a video of the recipe. 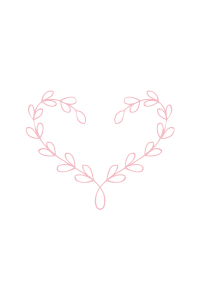 I will include the video at the bottom of the post. Oh and if you do not like the flavor of lemon zest, simply omit the lemon zest, it is great either way. Classic Creme Brulee – Creamy, smooth, custard dessert. 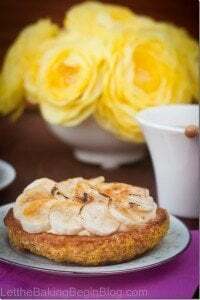 Banana Creme Brulee Tart – Crispy Puff Pastry tart sprinkled with coarse sugar and brushed with chocolate. 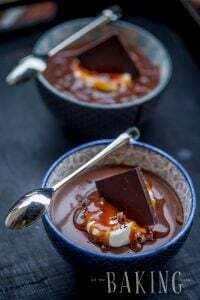 Coffee & Chocolate Pot de Creme – The perfect chocolate dessert. Preheat the oven to 325F and place the baking rack in the middle. 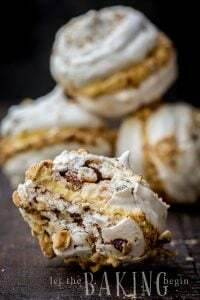 In a medium sauce pan combine the cream, the seeds from the split vanilla bean, the vanilla pod itself, the citrus zest and heat the cream until almost boiling. Meanwhile, in a large bowl whisk together the egg yolks and sugar. Slowly pour the hot cream in, while continuing to whisk. This will temper the egg yolks. Strain the custard through fine mesh sieve. Line a deep baking dish (glass Pyrex dish also works) with 2 layers of paper towel. Place 8-10 empty ramekins inside. Pour the custard into your ramekins, making sure that the amounts are even in all the ramekins. Pour enough hot water around the ramekins to go halfway to your ramekin height. Cover the baking dish with foil. Bake in the preheated oven for 30-40 minutes. If you have a flat and shallow crème brulee dishes, 30 minutes is enough. If you have deeper round ramekins (soufflé dish), give it 40 minutes. Once done, the middle will still be ‘jiggly’, but that’s ok. Remove the ramekins and let them cool at room temperature and then refrigerate them for 3-4 hours until thoroughly chilled. Right before serving, sprinkle 1 teaspoon of sugar on top of your custard (for round soufflé baking ramekins - 1 tsp, for the shallow crème brulee ramekin – 1 tblsp), then shake the ramekin around for the sugar to evenly distribute throughout the surface. Take your blow torch and point towards the middle, slowly rotating the flame in circles. As the sugar caramelizes rotate the ramekin and continue with the blow torch towards the outer edges until all of the sugar has been caramelized. 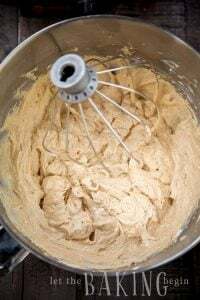 Whip chilled heavy cream with sugar and vanilla extract until fluffy and supple, with hand mixer. Serve with a tablespoon of heavy whipped cream or cool whip, decorating with fresh fruit or berries of choice. Citrus zest can be simply omitted. Keep in the fridge until ready to caramelize. Serve as soon as the sugar has been caramelized for best results. 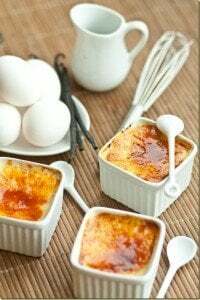 Classic Creme Brulee (4 Ingredients Only!) - Let the Baking Begin!